It can be tough to keep track of the hundreds of components that make up our car, and if you’re not a car enthusiast, it’s likely you don’t know what a drive axle is. However, you probably know more about the drive axle assembly than you think, as several well-known car components make up an entire drive axle. The axle is fixed to the wheels. When fixed on the wheels, the axle is able to rotate along with the wheels as it supports each revolution. The axle is fixed to the vehicle. When fixed on the vehicle itself, the wheels on the vehicle will rotate around the axle rather than with the axle. Do You Want to Receive Included Introductory Maintenance With Enrollment to a New Policy? The drive axle is a crucial car component that extends out from the differential and into the tire. Typically, drive axles are encased within an axle housing, which offers the part more protection and allows it to operate much more efficiently. They can be found on both front or rear wheel drive vehicles and are necessary to operate both the front axle and the rear axle. It’s likely that you already know about the drive axle without even realizing it as the CV axle, or Constant Velocity axle, can technically be considered a drive axle. CV axles act identically to drive axles as they both transmit power from the transaxle out to the tire. 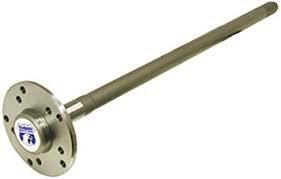 A drive axle without its housing is sometimes referred to as a “solid axle”. What Happens If Your Axle Breaks While Driving? 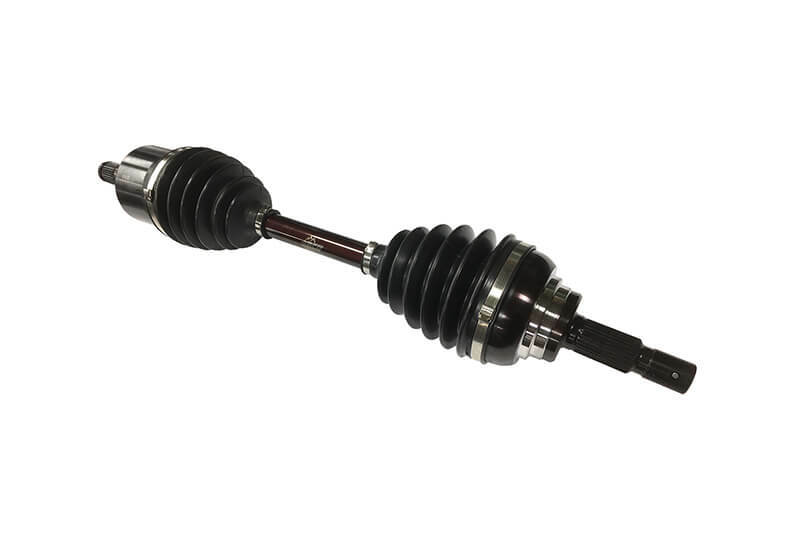 While we all know we should repair a broken component as soon as any drive axle issues arise, the cost of repairing complex parts such as the CV shaft or axle shaft can really stop us from doing so. With that said, there are many drivers throughout the world constantly asking “how long can you drive on a bad CV axle” or any axle alike! Without two operational axles, your car will be essentially immobile. Your axles are what transfers power to the wheels from the transmission (front-wheel drive vehicle) or the differential (rear-wheel drive vehicle). It can be extremely dangerous to continue to drive a car that has failing drive axle components. If your drive axle breaks while driving, you and those around you on the road will be at risk. A drive axle that fails mid-drive can cause fatal accidents, so it’s always in your best interest to have your car checked out by a certified mechanic if you’re in doubt about the vehicle’s axle components. Depending on the severity of the issue, the repair or replacement of your axle can run you anywhere from $200 – $1,000+ after including labor and other fees. With that said, you should definitely provide maintenance as soon as possible if you suspect that your drive axle may be malfunctioning.